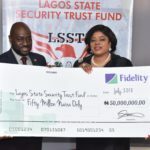 The Lagos State Security Trust Fund (LSSTF) recently received a donation of N50 Million Naira from Fidelity Bank Plc. towards the sustenance of security in the State as part of its Corporate Social Responsibility (CSR). Speaking while receiving the representative of the Managing Director/CEO of Fidelity Bank Plc. 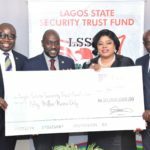 Mrs. Nneka Onyeali-Ikpe (Executive Director, Commercial & Consumer Banking – Lagos & Southwest) and other officials from the bank, Dr. Abdurrazaq Balogun, Executive Secretary/CEO of the Fund said the donation would help to meet the ever increasing and pressing needs of Security Agencies in the State. At the presentation ceremony which took place at the office of the Fund, Mrs. Nneka Onyeali-Ikpe praised the Police Force especially the Rapid Response Squad (RRS) for their bravery and dedication to service adding that the donation in furtherance of the Bank’s commitment to continued partnership with Lagos State Government and the Fund for the improvement of security in the State which would provide an enabling environment for the prosperity of all. She emphasized that Fidelity Bank Plc. which is one of the leading financial institutions in the country, has its headquarters, over 80 branches and staff strength of about 2000 in Lagos State. She went on to note that the bank has flourished in the State largely due to the peace and safety enjoyed by the organization. “His Excellency, Mr. Akinwunmi Ambode, the Governor of Lagos State sincerely appreciates this donation, as his administration continues to encourage the initiative of individuals and partnerships from corporate organizations such as yours in ensuring economic growth and social development in our dear State” said Dr. Balogun who also expressed the profound appreciation of the Board of Trustees and the good people of Lagos for the donations. The Executive Secretary noted that “Fidelity Bank Plc. 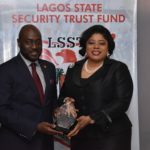 has since the inception of the Fund, made a total donation in cash and kind of about One Hundred and Seventy-five Million Naira (N175,000,000.00) to the Fund towards the enhancement of security in the State”. While stressing that the Fund does not receive any subvention from the State Government but relies solely on voluntary donations from corporate organizations and well-meaning individuals, the ES urged the organization to call on their allies in other sectors to play their part in their enlightened self-interest. 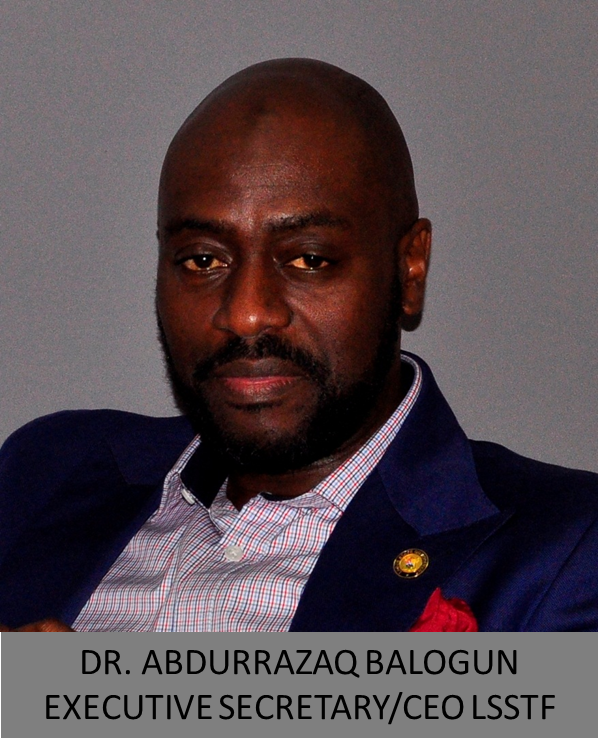 As always, Dr. Balogun commits to a judicious use of all resources. Gains didn’t https://college-homework-help.org show up in other areas, but mr.